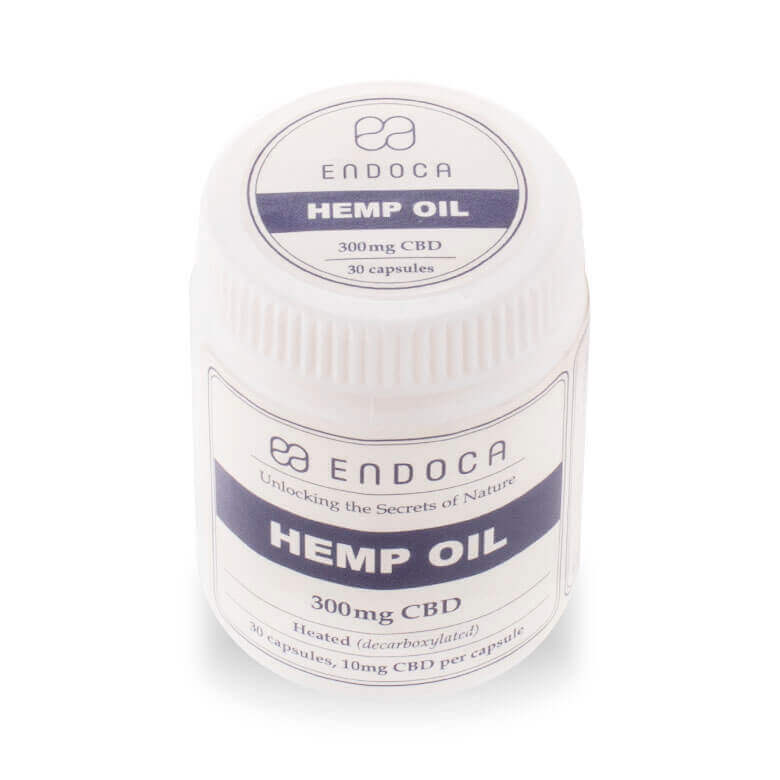 Capsules Hemp Oil Total: 300mg CBD - Buy Online at Endoca.com! Our CBD Capsules come in the form of vegan gel caps and are gluten-free and completely kosher. The capsules are made from 100% plant ingredients, contain no animal by-products, preservatives, artificial colors, starch, sugar, corn, wheat or dairy. a unique whole plant extract by gently heating the plants after extraction. When heated the CBDa turns in to CBD. 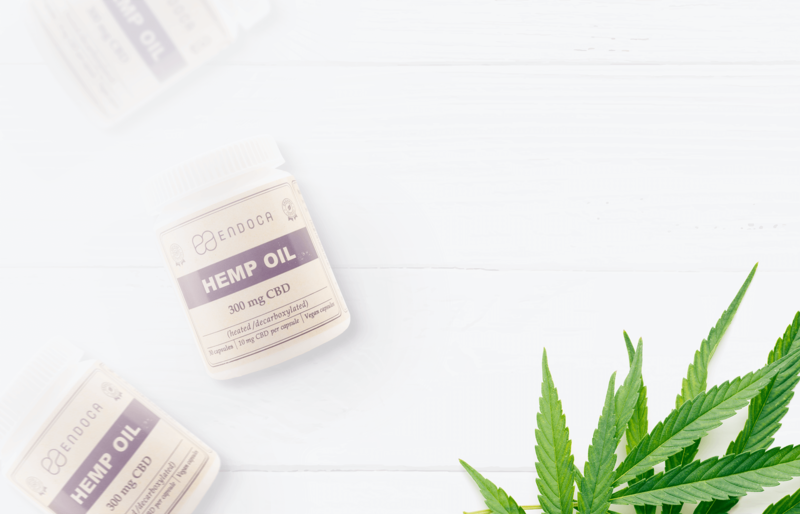 The unfiltered hemp oil could be likened to eating the hemp plant gently heated, preserving the active molecules contained in the original plant. If you value the pure plant power of unfiltered hemp, but prefer to take it in an easy to swallow form, then our CBD capsules are for you. That way you get to benefit from hemp’s complex structure and unique combination of over 400 molecules without the hempy after taste. 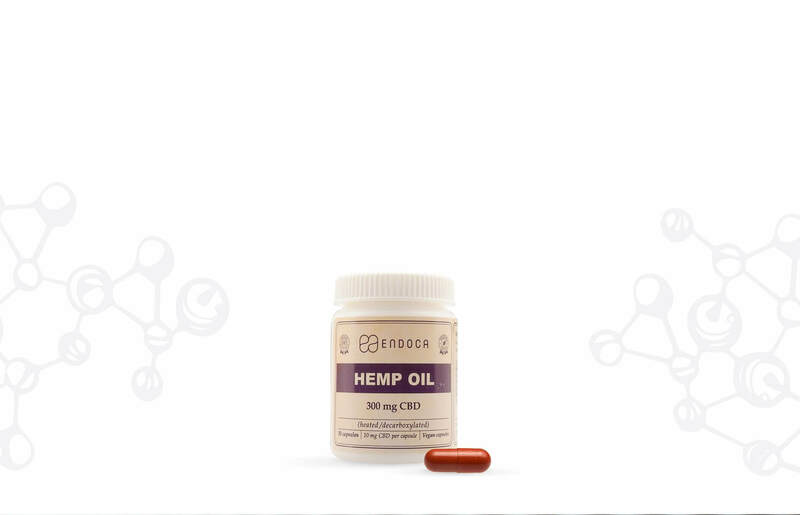 Endoca’s proprietary formula contains crucial cannabinoids, vitamins, minerals and plant waxes that are often missing from our diets. You’ll get this and more in one simple capsule. We produce under pharmaceutical control from seed to finished product. 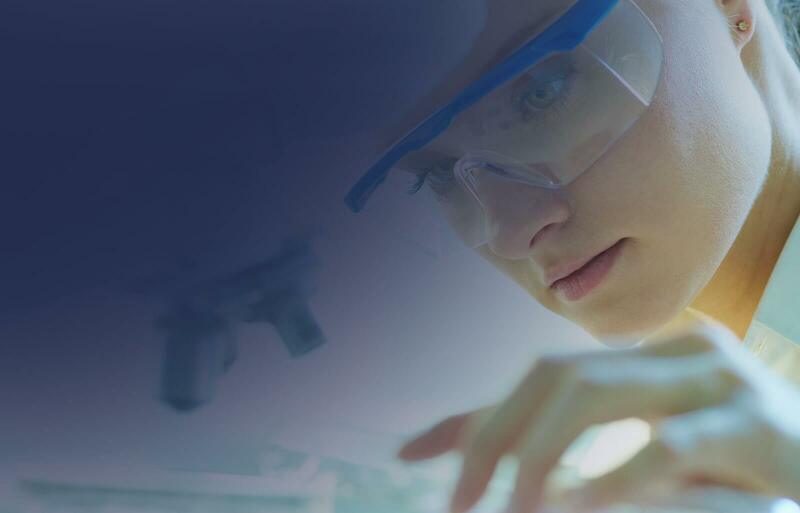 To do this we employ rigorous laboratory testing to guarantee consistent potency and purity in every product. 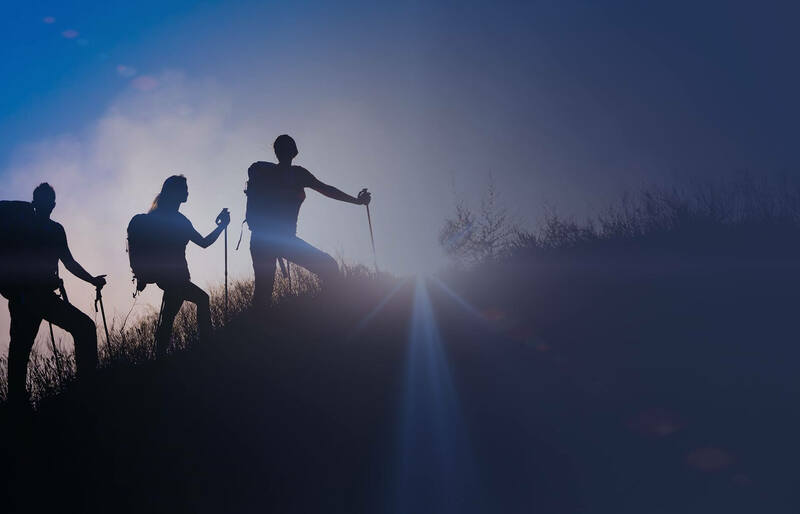 CBD, a compound found naturally in the hemp plant, stimulates our endocannabinoid system - our body’s natural balancing mechanism regulating biological functions such as sleep, appetite, mood, pain and our immune system. 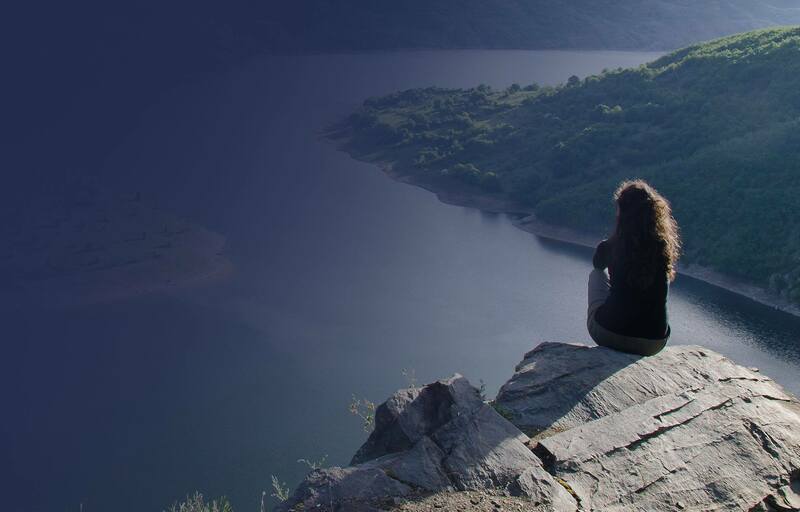 Sometimes thanks to the stressors of modern life, this internal balance can become compromised. At Endoca we’ve discovered an effective natural solution in hemp, which produces phytocannabinoids that are similar to our own. 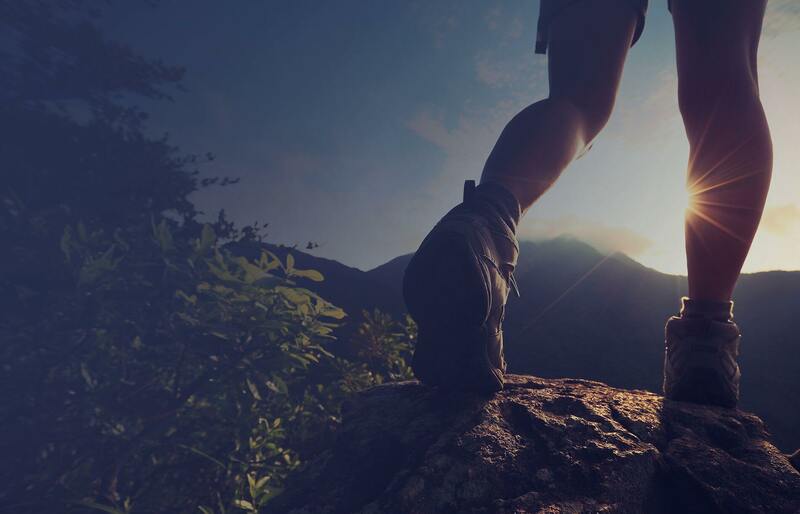 Adding hemp oil to your wellness routine can help to keep those cannabinoid levels in check. Product is excellent, and customer service make my experiece with Endoca a wonderful one! Extremely happy! Will definitely shop there again! Phytocannabinoids: 10mg CBDalso low concentrations of (CBDa, CBC, CBG, CBGa, CBN)*Cannabidiol is a natural constituent of the hemp plant. Terpenes: Myrcene, Limonene, Alpha & Beta-pinene,Linalool, B-caryophyllene, Caryophyllene oxide,Terpinolene and Humulene. We try to make the bottles as small as possible. with you, even fitting in your pocket. What’s the difference between the 10mg CBD Hemp Oil Capsules and 10mg RAW Hemp Oil Capsules? 10mg CBD Hemp Oil Capsules are created using the whole plant containing both CBD and CBDa. It is extracted using C02 without chemicals. After a gentle heating process the raw unfiltered hemp is transformed from CBDa into CBD. 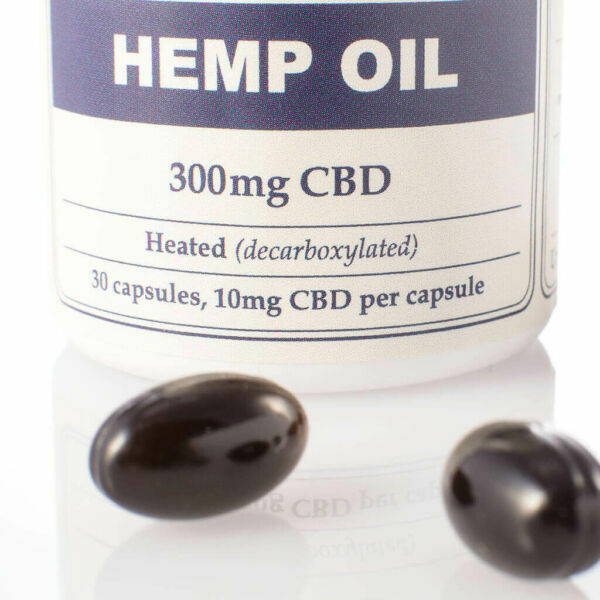 Due to this gentle application of heat, 10mg CBD Hemp Oil capsules contain only CBD with no CBDa remaining. Not only that but through the application of heat, the other 400 molecules also change, which is neither positive or negative. We just know that they are very different molecules because they have been heated. 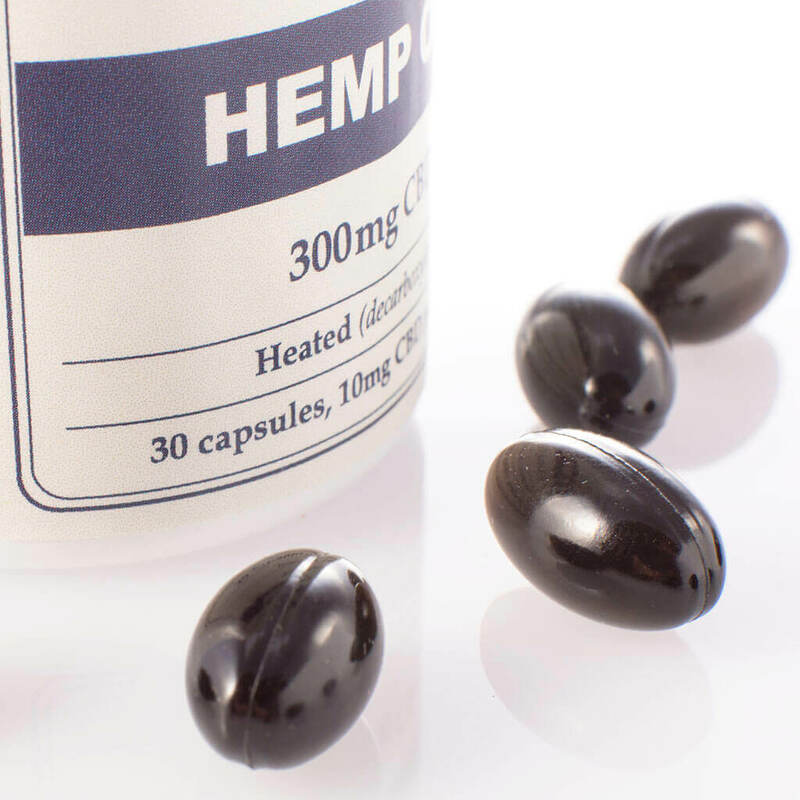 CBD Hemp Oil Capsules contain the whole hemp plant which is thick and waxy in texture. That’s because nothing extra has been added or taken away. This compares to our CBD Hemp Oil Drops that have undergone a filtration process to remove the waxes and contain extra hemp seed oil.The unfiltered hemp oil delivers more micronutrients and active molecules but less vitamin E, and Omega 3 and 6 essential fatty acids. Plant waxes are organic compounds and are uniquely found in our unfiltered hemp extracts. They are classified as a type of dietary fibre. Often removed from CBD products, we believe they play an important role, working in synergy with other molecules in the hemp plant. Not necessarily. Most of us assume that high strength CBD must be best. 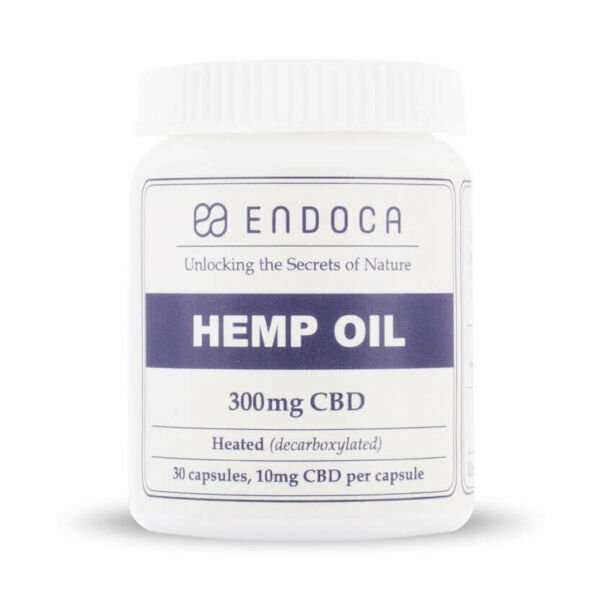 But at Endoca we think otherwise, based on studies we have performed on hemp seed varieties used by humans over thousands of years. They show average CBD content has always been about 1-4% whereas it is only in recent times that higher strength varieties have become popular. 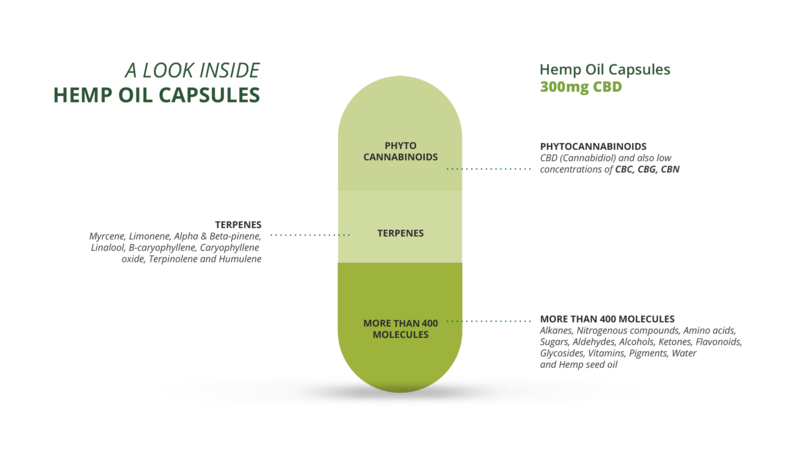 Does taking capsules mean less CBD is absorbed into the body? 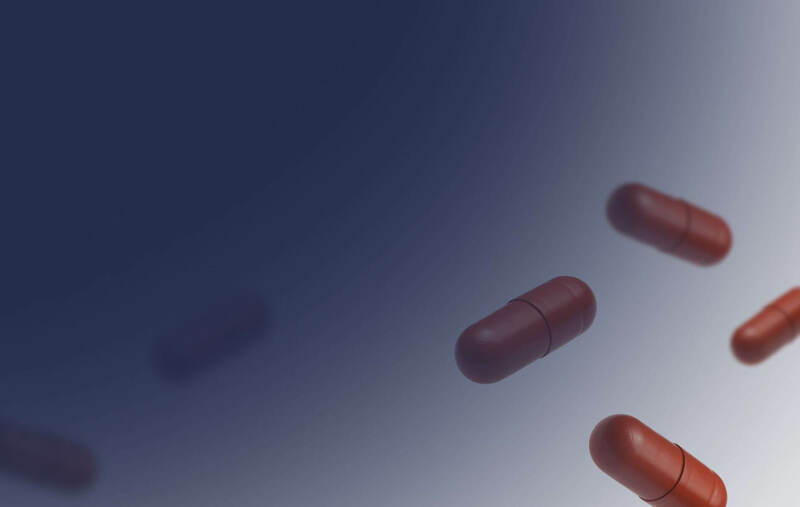 While capsules offer possibly the most convenient way of taking CBD, the trade off is that less of the active ingredients are absorbed into the bloodstream. This is because when we take something orally, it has to pass through the the digestive system during which some of the CBD is lost. 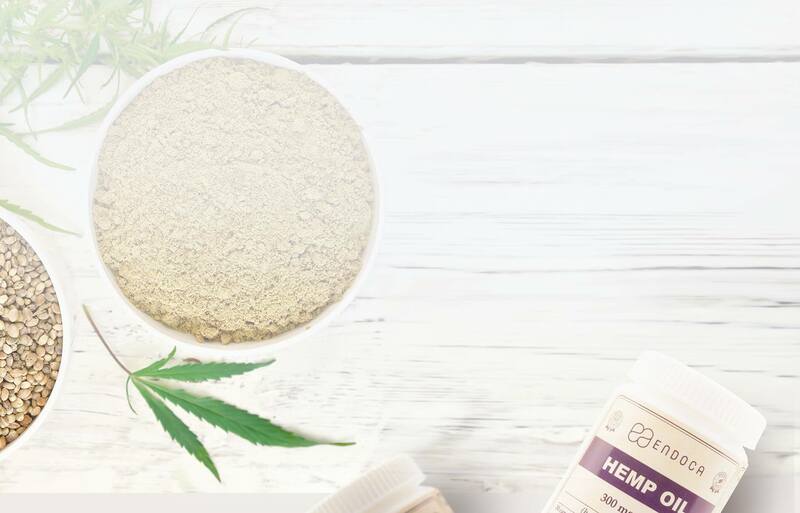 If you want to ensure maximum CBD absorption, you should consider the CBD Hemp Oil Drops which boast higher bioavailability due to the plethora of blood vessels found in our mouths. 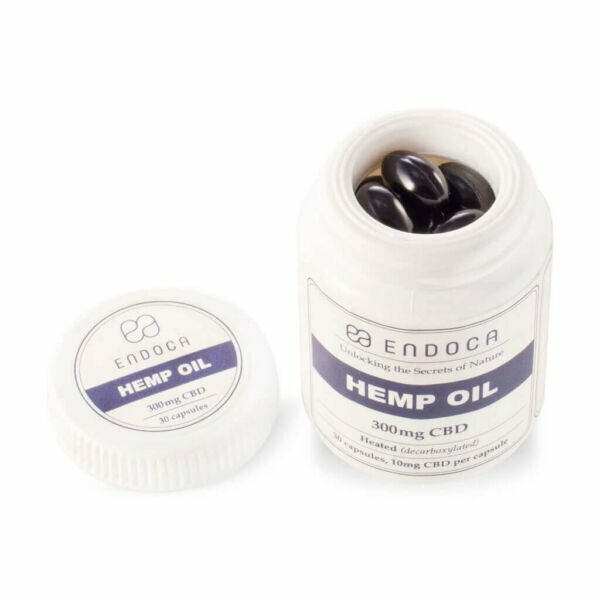 How do I use the 10mg CBD Hemp Oil Capsules? 10mg CBD Hemp Oil Capsules are swallowed whole and should be taken on an empty stomach. Can 10mg CBD hemp oil be used on children? 10mg CBD Hemp Oil is 100% natural, organic certified and safe to use on children.  Taking CBD in capsule form can be difficult for children under 5 as they may find them hard to swallow. One technique can be to ask your child to rest the capsule at the back of their mouth and then wash down with a glass of water. What’s so special about hemp? It wouldn’t be much of an exaggeration to say that Endoca really loves hemp. For the past 9 years we have travelled the four corners of the world sourcing the best hemp varieties. That’s because we are committed to finding the hemp plants most abundant in the CBD and with least amount of THC, in turn creating the highest quality Endoca Hemp Oil products for our customers. Our dream is to create a seed bank which we can share with the rest of the world, so that these precious hemp seeds are never patented by big business and lost to the common man for ever. That’s because we know that hemp is part of our world heritage. Not only was it one of the first crops to be cultivated by humans thousands of years ago, but its versatility is unbeatable; it can clothe, feed and even provide us with materials to build houses. Sadly, over the last 80 years in many countries hemp’s reputation has been tarnished and its cultivation prohibited.